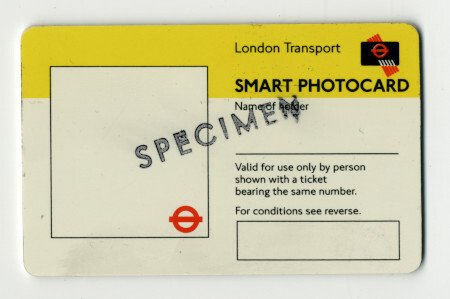 APTIS test card by British Railways Board. 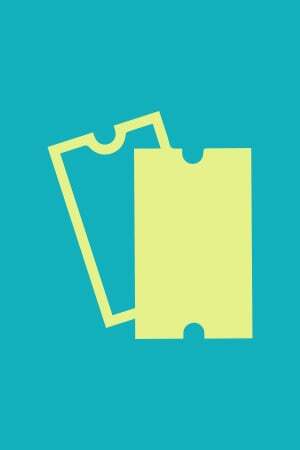 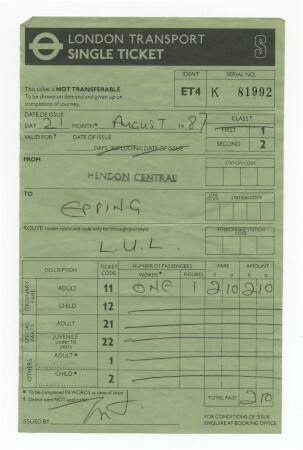 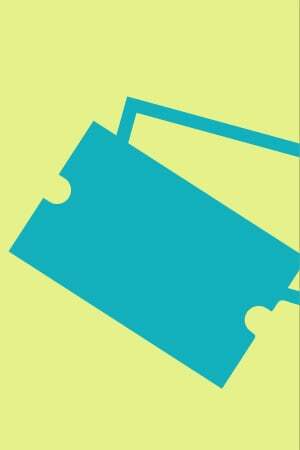 Unissued blank part of UTS ticket roll, by London Underground.. 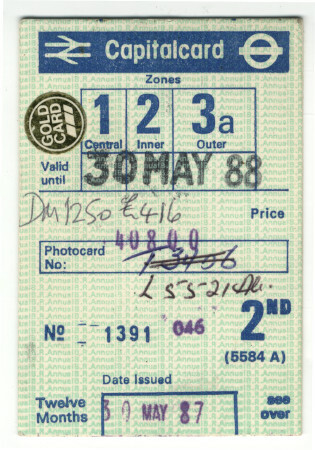 Unissued annual gold capitalcard by British Railways Board. 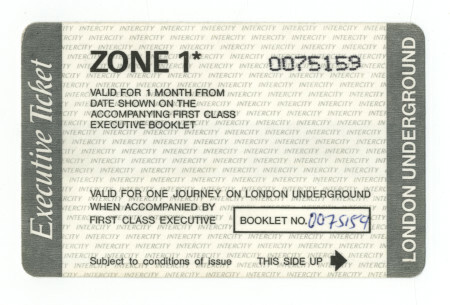 Unissued BR employee gate permit, by London Underground.. 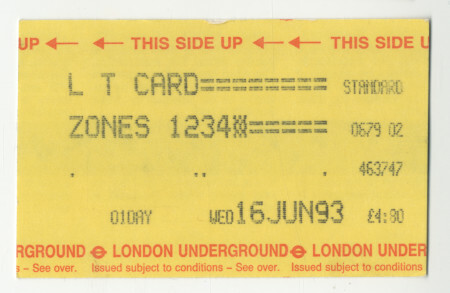 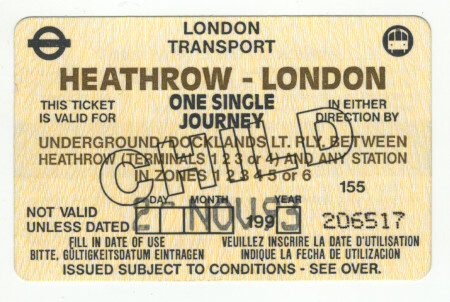 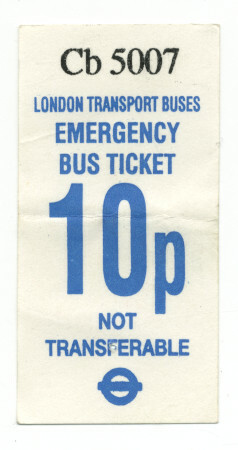 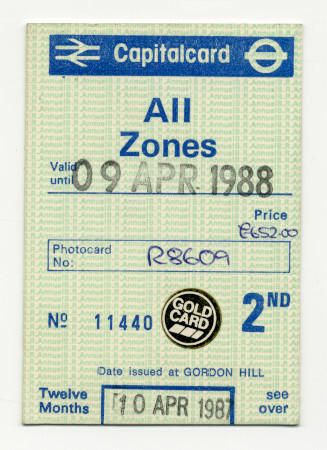 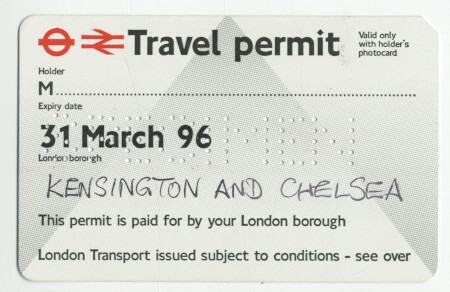 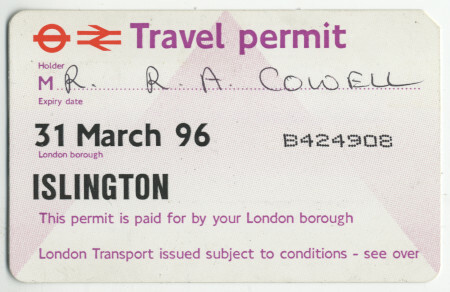 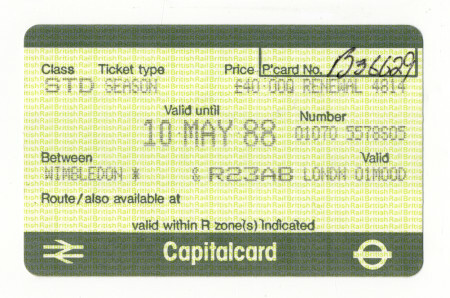 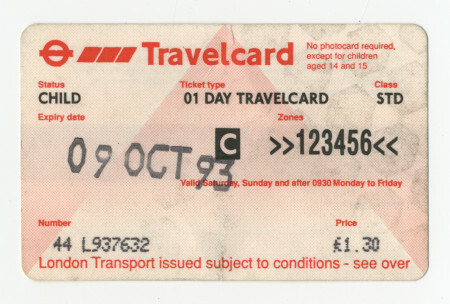 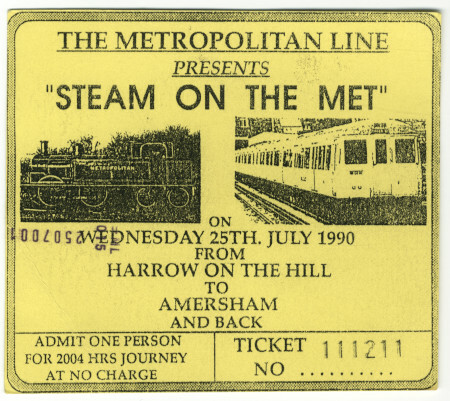 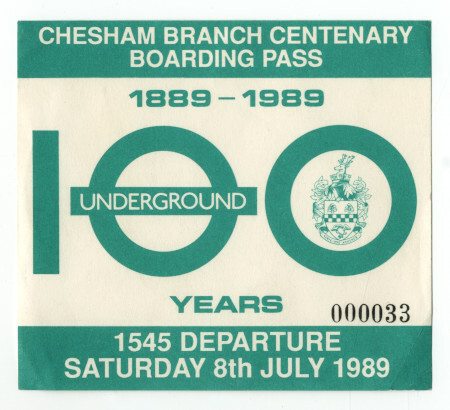 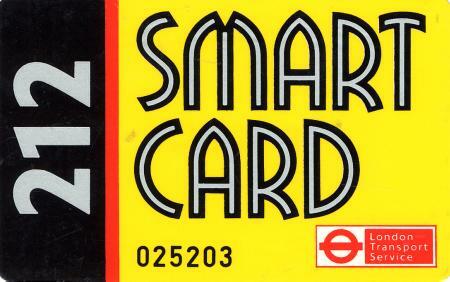 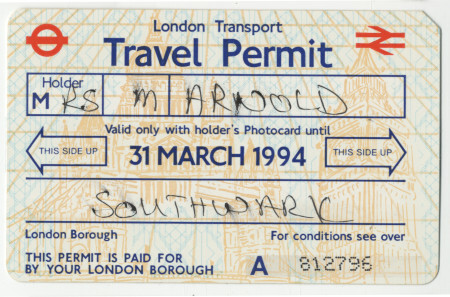 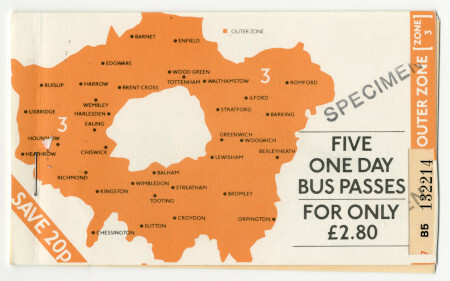 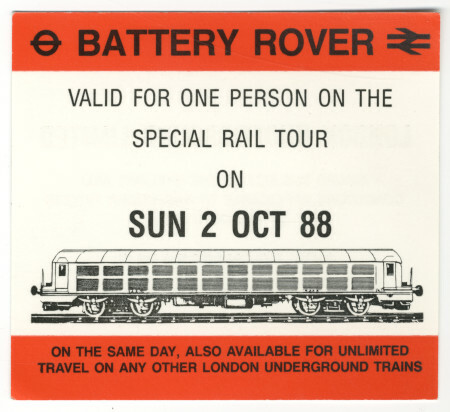 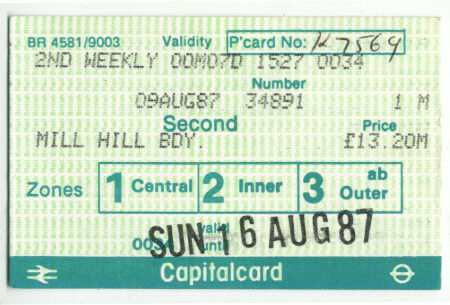 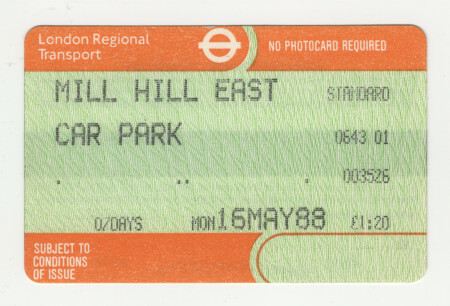 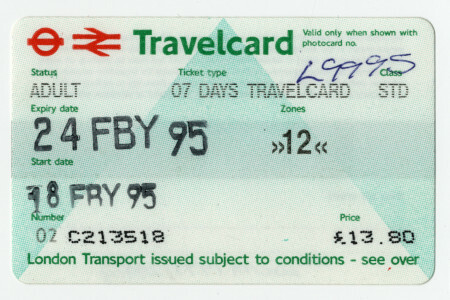 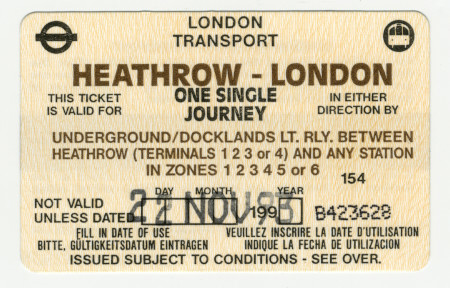 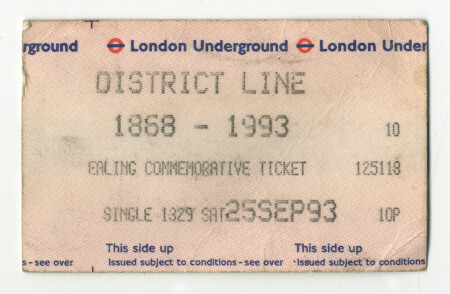 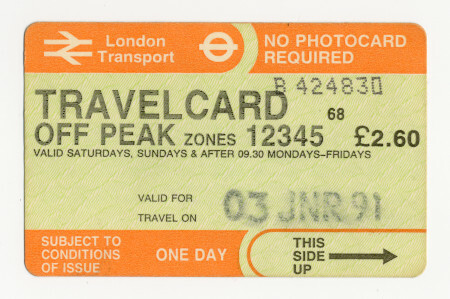 Unissued bearer rail pass, by London Transport, 1991-1992.